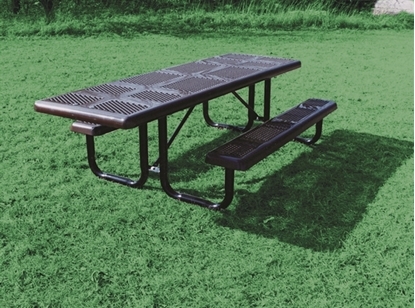 Quick Ship picnic tables from Park Tables are in stock and ready to ship to your school, park, or business. This 8 foot picnic table features top and seats made of thermoplastic coated perforated steel with black powder coated legs. Perforated steel picnic tables are made with 11 gauge small hole punched steel to last for years in a commercial environment. 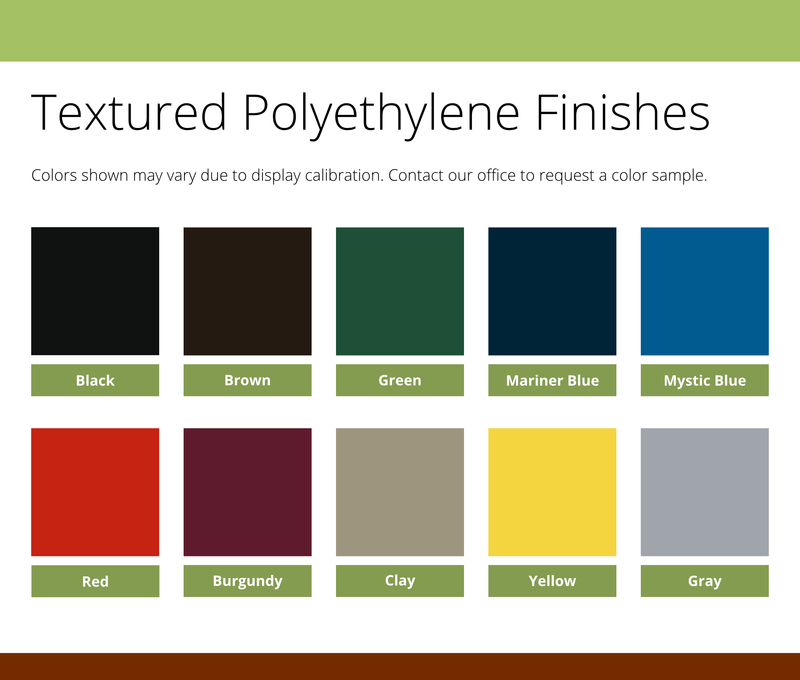 Available in a variety of color options for quick ship with a black frame. *Leaves the warehouse in 5 business days. Maximum order of 5 for Quick Ship eligibility.